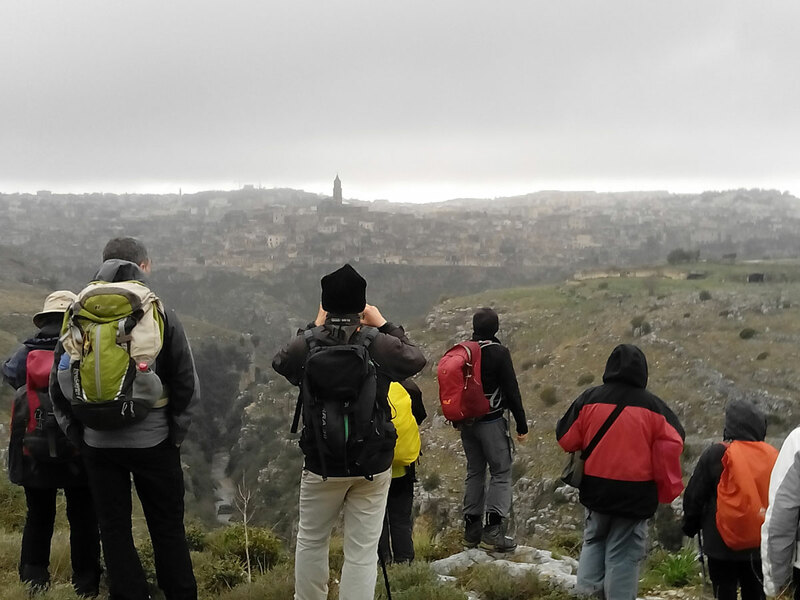 Excursion starting from the Sassi. 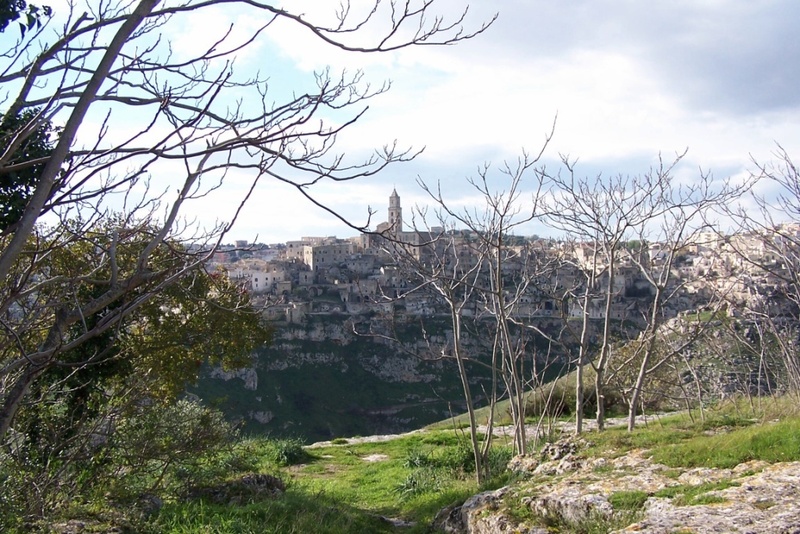 Walking tour of Matera starting from Porta Pistola, in the ancient districts of Sassi. 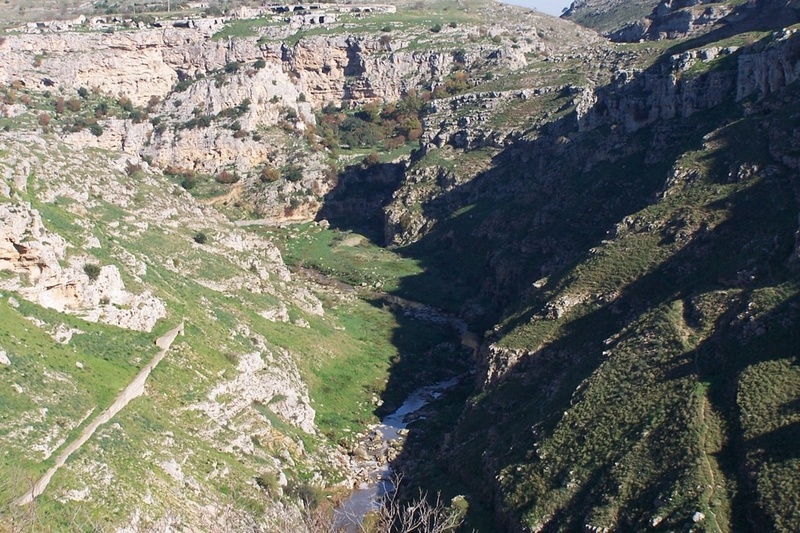 You will descend into the ravine to cross the river and climb towards Murgia Timone, following the trails of grazing animals. You proceed towards Madonna delle Tre Porte, a rupestrian sanctuary of XII sec. The trail brings you to Mary of Crosses, a rupestrian church with a marvelous fresco on the apse representing the Virgin Enthroned. Packed lunch in caves. 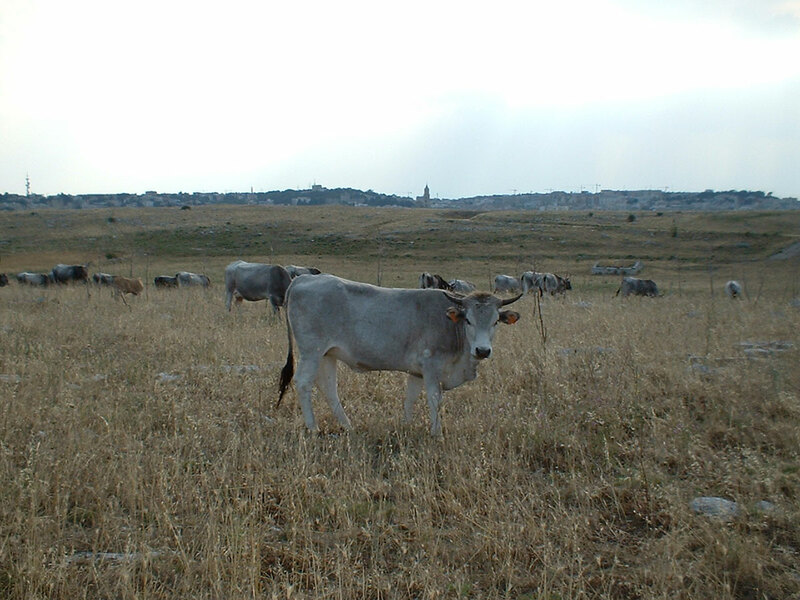 Then visit of Iazzo Gattini (ancient sheep pen set up as visitors centre).